You know that you are in Lancaster when you learn to put down the useless umbrella and embrace the drowned rat dreadlocks; streaming mascara; torrents of mud that splatter your legs (which are nearly always covered by tights or jeans by the way, this is the North you know). C’est tres chic. Likewise, as a habitant of Lancaster, you soon learn that nobody will ever see your clothes. Your coat hugs you like glue – it does not part from you for lectures, seminars, coffee dates. It is all that people see. Therefore, you have a newfound respect for The Coat. Without it, you would be nothing. You also know that you are in Lancaster when every five yards, you see a Greggs. Not only do you know the entire menu and price list, but also Greggs is a legitimate and common meeting point. And you thought the Greggs queues were extreme? 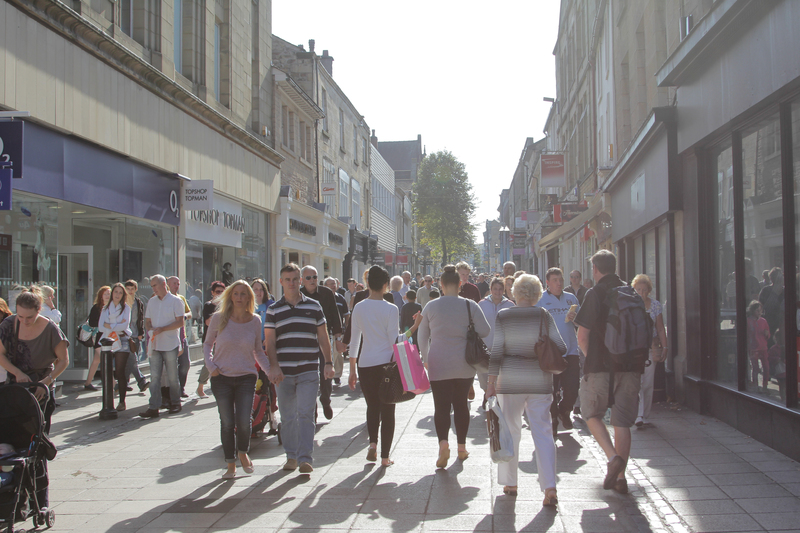 You know that you are in Lancaster when as soon as the sun rocks up (a rare occurrence – it surfaces for about one week a year), the queues outside the ice cream shop (which is magically open all year round come rain and snow), extends to the entire length of Alexandra Square. Likewise, as the sun emerges, and the temperature extends to about 3 degrees instead of minus numbers, the student body strips – shorts come out, jumpers come off and the flesh-showing student population sits clutching ice creams in the square. You also know that you live in Lancaster when you wake, at 1pm, donning a sugar stamp, slept-on sprayed be-hive hair in an attempt to embrace Northern fashion, and a splitting headache. Your standard Big Bites take-out is on the floor. This state of consciousness has been achieved after exhausting the entirety of Lancaster’s nightlife in one night. Yes, it only takes one night to tour the ‘strip’ of Lancaster’s three nightclubs. Perhaps two, if you pace yourself. For those of you who happen to indulge in a romance in one of said clubs, you can rest assured that the next day, bleary eyed, and zombie-trance like, you will bump into said conquest on the university spine. The small microcosm that is Lancaster doesn’t take any prisoners – its size provides the potential for awkward eye contact and surprise meetings. In extreme drunk situations on campus, you may decide to explore the university woods, and find that you call your friends at 4am from a bush of stingy nettles, with a sheep keeping you company. (Ahem). You know that you live in Lancaster when you have ‘Loud Bus Guy’ on Facebook and you hold constant paranoia for the potential that your spine conversations will be quoted on ‘Overheard at Lancaster.’ You know what the words ‘mardy’ and ‘barm-cake’ mean, or at least you pretend to. You question why Lancaster is termed a ‘city’, and some Southerners may indeed wonder whether the four-legged creatures roaming the neighboring fields are cows, horses or giraffes. You know that you are in Lancaster when the ‘duck-crossing’ road sign is held with reverence and respect – ducks are given the grass outside County Diner exclusively, are photographed continually beside a wide-grinning duck-tourist student, and are documented on Overheard and Lancaster (hell, they are so much loved that one student was hatching geese publically on the Facebook page). All hail the ducks. Finally, you know that; when your parents drive you over the hill to Lancaster, the car temperature drops by six degrees immediately and you nearly run over a duck on the way to your accommodation, you are finally home. In the land of Sugar, brews, friendly people, Gregg pasties, and rain.